Hola from the heart of Chiapas: San Cristóbal. Mixing of cultures in the barrios, streets and cafes of San Cristóbal gives rise to a multiplicity of artistic possibilities, a blending and merging of creative processes, an acceptance of the new and an openness to all who care to explore their creative self. San Cristóbal’s heart needs some inspiration; it needs art that is cutting edge, art that is performance, installation and conceptual: A wave to the past and a salute to the new. After simmering for decades San Cristóbal is ripe for an artist movement, a centering of artistic pursuits and as an experimentation in mixing of cultures. Galería Studio Cerrillo has been exhibiting fine art since 2002 with over 60 month-long exhibits. We have shown alternative arts for several years and we are passionate about the possibilities of this medium as a catalyst for art in San Cristobal. Commencing in 2009 Studio Cerrillo offered a year of performance, conceptual and installation art, PIC 2009. 2009 was successful and very rewarding for the gallery, for the artists who ventured forth to San Cristóbal and for the clients of the gallery. The artists who exhibited in the gallery during 2009 were mainly from Mexico: Violeta Luna, César Cortés, Vero Cristiani, Heidi Aguilar, Shingo Kuraoka, Juan Carlos Ruíz Faviel, Juan Carlos de la Parra, Fernanda del Monte; one from San Cristóbal: Theo Toy and two artists who came from outside of Mexico, Maya Haviland from Australia, Zteid Giarc from Bulgaria. We are seeking an original concept created for our gallery which is 4.6 x 4.6 x 3.2 meters in height, with an open space that allows for suspension and an additional creative environment, 15 liner meters of exhibition space, a back patio 3 x 7 meters, and the street, which is easily closed for the day and night of the inauguration, thus allowing the connected spaces to serve as an excellent venue for the artist. 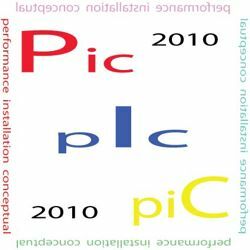 Projects submitted for PIC 2010 need to be performance, installation or conceptual to be considered. We are specifically seeking original works that are designed for specifically for our space. We want ideas that push the edge of each individual artist and the audience. Whether MODERN, SEXUAL, SATIRICAL, REACTIONARY, POLITICAL or PROHIBITED, we want each artist to explore the outer edge, to create a new work and to have fun. We will accept proposals based on clarity and strength of the artist's presentation. Each show will run for three weeks or less depending on the artist desires or if we have several performance shows in the same month. The gallery would like to have two performances a month by different artists, a total of 8 shows for the year. The performances should be brief, 8 to 14 minutes thus allowing two shows a night; ideally the shows can be different. Galería Studio Cerrillo will support the exhibition by opening our creative space, promote the show through local media, produce invitations and the opening and offer a place to stay for three to four nights and some meals. We can confidently offer our eight years of experience producing shows from the basic to the sublimely complicated. As a promoter of monthly shows we can utilize this experience to assist each artist to fulfill their projects. Art shown in Galería Studio Cerrillo can be a vehicle to communicate and to inspire, to push others to create their own unique visual point of view and perhaps be the catalyst for a movement chiapanecan. The year 2010 will begin in March and end in December. We sincerely hope that each of you consider our offer to exhibit in Galería Studio Cerrillo during 2010 to explore the magic of San Cristóbal and share with our people the passion of your work. Please contact us with any questions, suggestions or commentary.